Want to open a fast food restaurant? 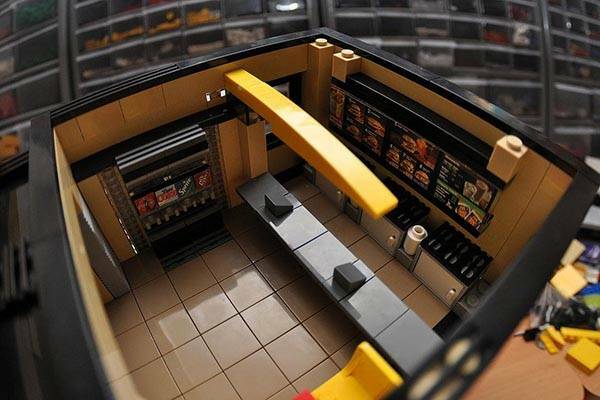 Take a look at the McDonald’s fast food restaurant LEGO set, it will make your dream come true with ease. This is a custom and highly detailed LEGO set created by LEGO artist Eric Badis. 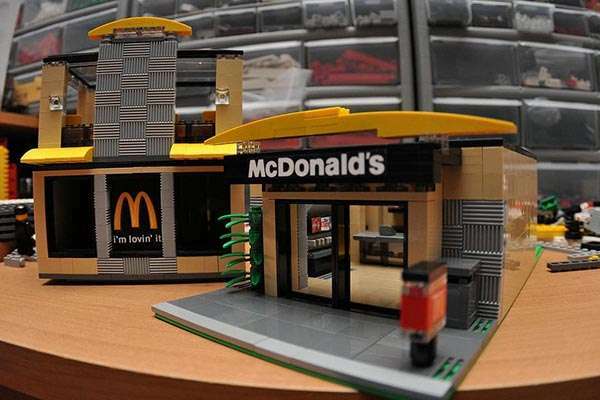 As shown in the images, the three-floor fast food hamburger restaurant is built with LEGO bricks, and the striking McDonald’s sign clearly shows off its standing in the fast food industry. In addition to exquisite exterior, the first floor of the LEGO McDonald’s building also features detailed inner decoration including coke dispensers, counters, cashiers, ovens and etc, but the second floor is unfurnished, you need to decorate it with other LEGO furnishings. Anyway, the LEGO fast food restaurant is a great addition to your LEGO city. 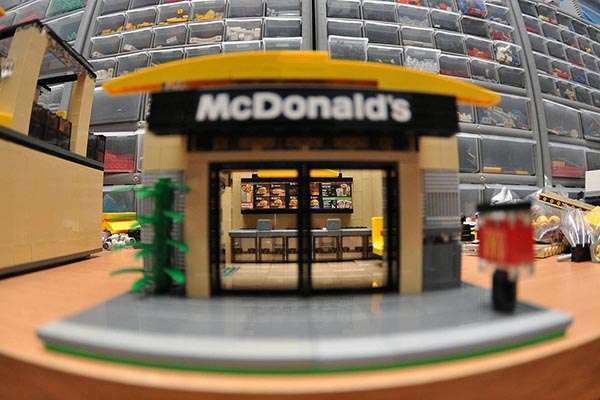 The LEGO McDonald’s fast food restaurant is priced at $120. If you’re interested, jump to Etsy for its more details. BTW, also don’t miss Lamborghini Veneno Roadster LEGO set and more cool stuff by following tags.